Walsh Whiskey announced this week that Duggan Lynch of Kilkenny will be building their new distillery in Royal Oak. Completion by Spring of 2016 is the plan, though the spirit should already be flowing from late 2015. The company continues in the meantime to dip into Irish Distillers' warehouses for its Writers Tears and Irishman brands. This year, as usual, we are treated to a new Cask Strength version of each. They come with very similar descriptions: a vatting of single pot still and single malt, all triple-distilled and aged in ex-bourbon casks. They are non-chill filtered and bottled at cask strength (53% for the Writers Tears, 54% for The Irishman). I was unable to prise precise details on composition from the company so let's speculate a little. My understanding is that Writers Tears Cask Strengths contain more pot still than malt. This is reversed for The Irishman Cask Strength. From the number of bottles produced I'm going to guess that 9 casks were emptied for the Writers Tears (1,980 bottles), perhaps 5 pot still and 4 malt. 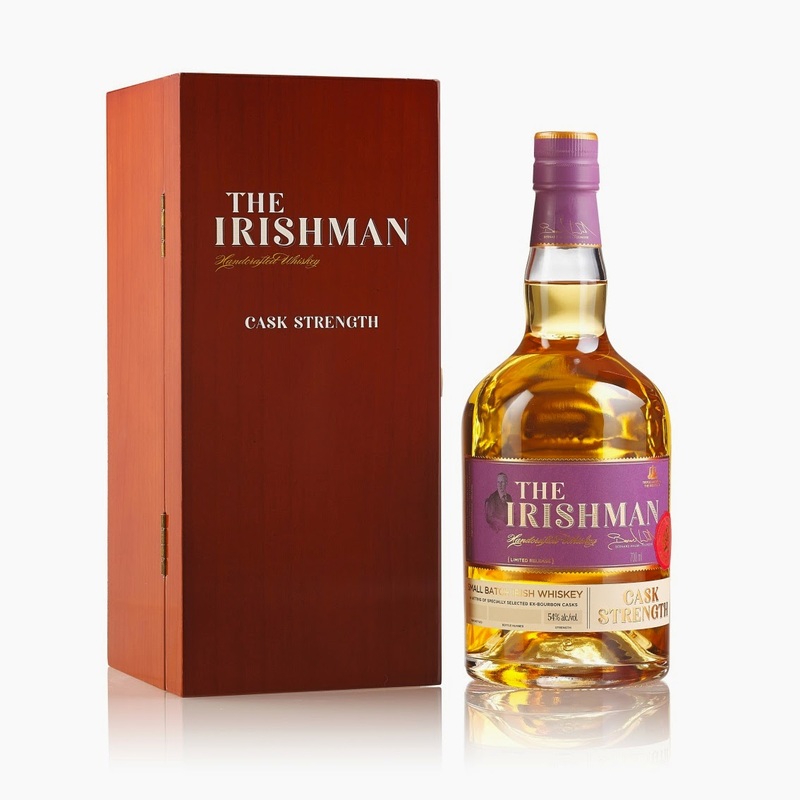 There are more bottles of The Irishman (2,790), which suggests 12 casks - 7 malt and 5 pot still? Last year I tried the 2013 editions side-by-side and had a definite preference for The Irishman. This year, Writers Tears has it. It's purely a personal preference; others will disagree. 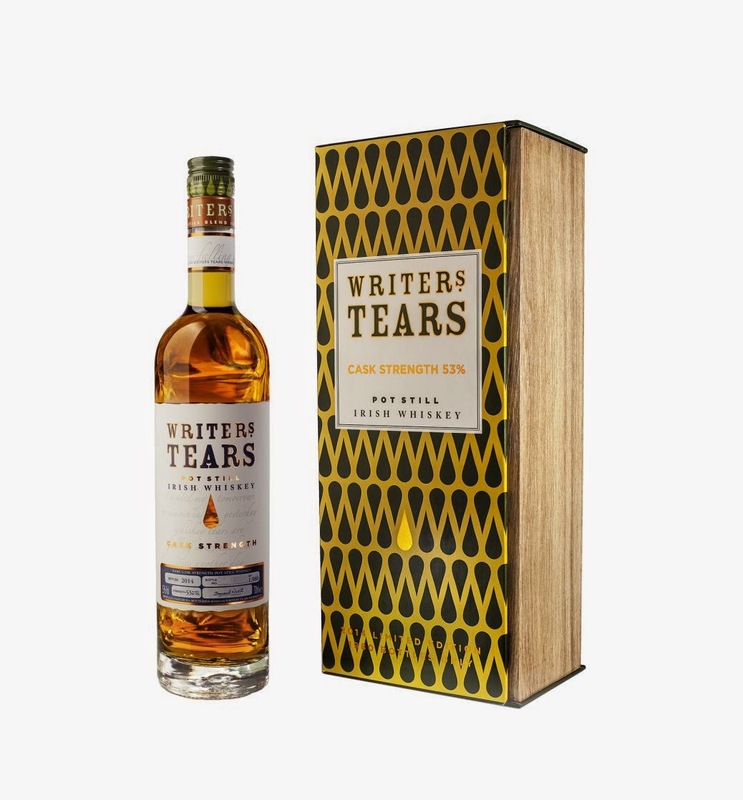 I've had a chance to get to know the Writers Tears quite well, thanks to the kindness of Walsh Whiskey. It's not the oak and vanilla hit I might expect from the bourbon casks. It's a lot more savoury, which appeals to me greatly. The nose is oily. Tarred rope with a touch of eucalyptus. The taste is quite spicy initially but levels out to digestive biscuits. The long finish is reaching for that vanilla and oak but not quite getting there, instead fading out on notes of unripe banana and raisin-like sweetness. There's something else in the mix I can't put my finger on, something vegetal. I rate the Writers Tears Cask Strength 2014 very highly. It's been both interesting and very satisfying every time I've returned to it.